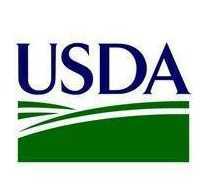 New Hanover County, NC – (RealEstateRama) — Saturday, October 6 is the last day to apply for the Disaster Supplemental Nutrition Program (D-SNAP), better known as Disaster Food Stamps, at the Community Recovery Resource Center. The center is located at Independence Mall in the former Sears store, 3500 Oleander Drive in Wilmington. The Community Recovery Resource Center, which includes D-SNAP, a supply distribution center and multi-agency resources, will be open Saturday from 9 a.m. to 5 p.m., and closed thereafter. The FEMA Disaster Recovery Center and Small Business Administration office, which are located right outside of the center in Independence Mall, will remain open Monday through Saturday, 9 a.m. to 7 p.m., and Sunday 9 a.m. to 1 p.m. Since September 28, more than 16,000 residents have visited the Community Recovery Resource Center. In addition to the services provided at the Community Recovery Resource Center, the county’s Building Safety Department is issuing hurricane-related building permits on Saturday, October 6 from 9 a.m. to 5 p.m., and will be closed Sundays moving forward. The satellite office at 1121 N. Lake Park Blvd, Carolina Beach, remains open Monday through Friday, 8 a.m. to 4:30 p.m. Visit the Building Safety website for additional details. For ongoing resources, services and donation information visit EmergencyNHC.com.